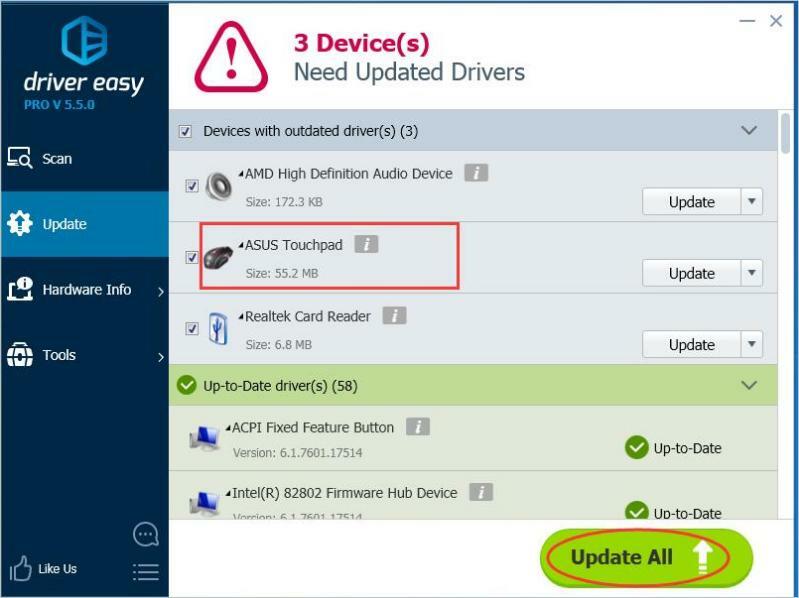 If you need to update ASUS touchpad driver, use one of three ways below. To save your time, choose an easier way. 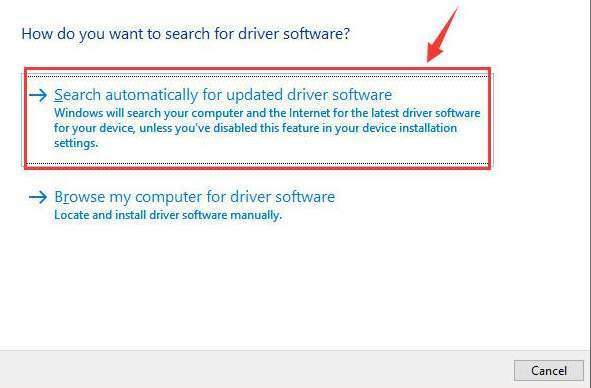 If your touchpad doesn’t work at all, you will need to use a mouse to update the driver. 2) In Device Manager, locate the touchpad device. 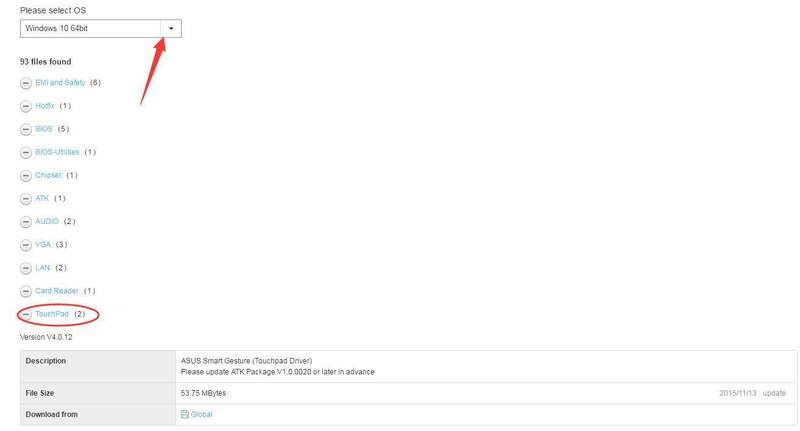 The device may list under category “Mice or other pointing devices”, “Human Interface Devices“ or “Other devices”. 4) Select Search Automatically for updated driver software. Then Windows will install the new driver automatically. If this way doesn’t work for you, try next Way 2 or Way 3. You can download the latest touchpad driver that you need on ASUS website. Before you get started, ensure that you know the laptop model and the operating system version. If you are not sure how to get them, below two links may help. For how to find the touchpad driver on ASUS website, refer steps below. 1) Open your favorite search engine like Google. 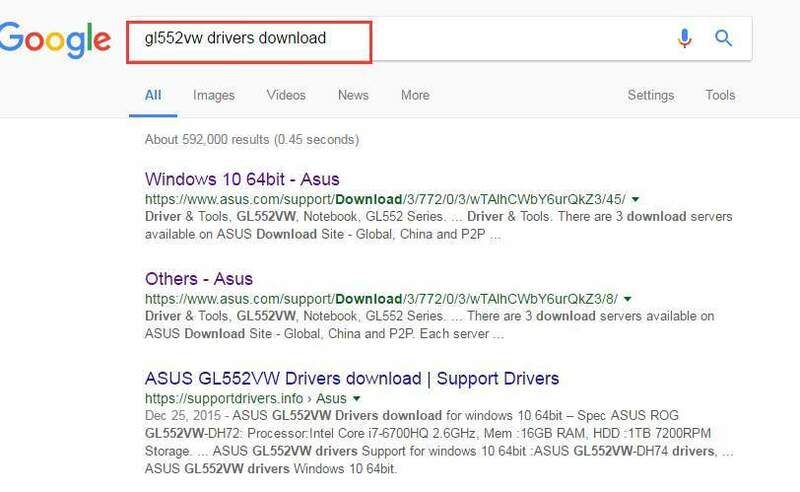 2) Type “product name+drivers+download” in the search box. Then start searching. Usually, verify the correct link from the top results of the list. Clink on it to enter the product support page. 3) Select the OS (operating system) and expand the category Touchpad. 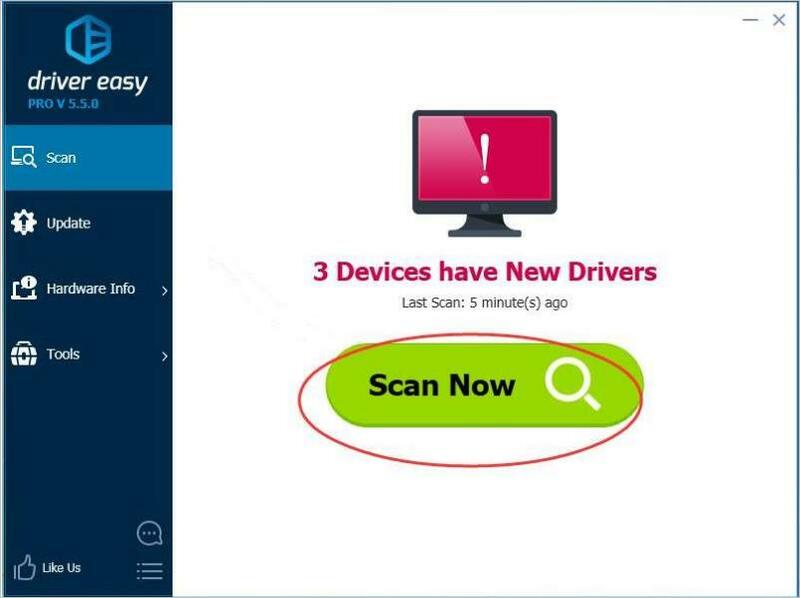 Then download the latest version of the driver. In my case, I select OS as Windows 10 64bit. 3) Click the Update button next to a flagged touchpad driver to automatically download the correct version of this driver, then you can manually install it (you can do this with the FREE version). 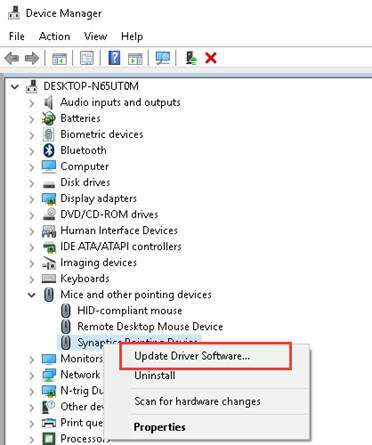 Hopefully you can update the ASUS touchpad driver easily with the tips above. If you have any questions, please feel free to leave your comment below.